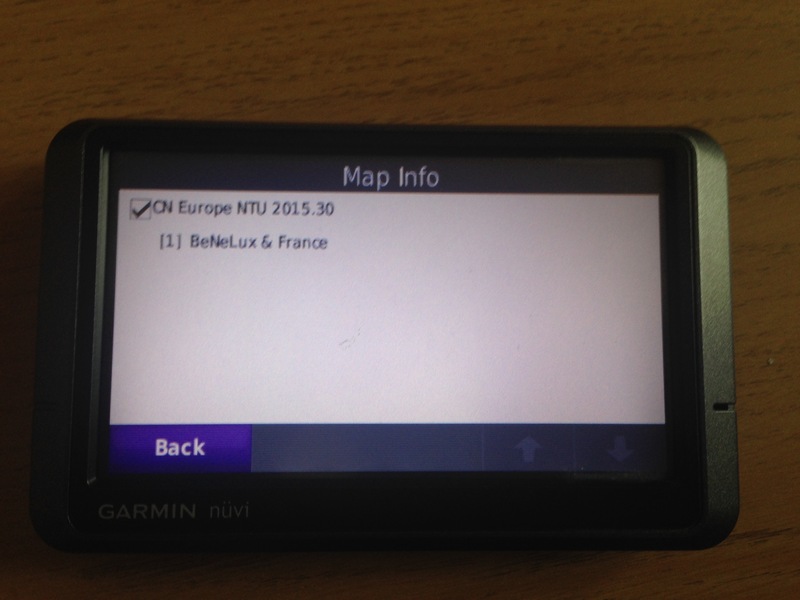 This is the simplest tutorial on how to add or update maps to your Garmin Sat Nav. Garmin maps are simple .img files (files with .img extension). So updating or adding maps is as simple as copying and pasting a file, which has to be named gmapprom.img or gmapsupp.img. In some places, you may find locked files, but there are tools to unlock those. An additional option (but not free) is to purchase official maps from Garmin’s website. The cost in the UK (Europe map) is £49.99 for a single update or £74.99 for LifeTime update (updates forever). If your GPS has LMT in the description is because LifeTime updates are included already (no extra charge). Once you got this, you install Garmin software from their website and you get the updates whenever you want. The first step is to connect the device to your computer. For this purpose, you need a mini USB cable. If you are an Andriod user you probably have one already, otherwise, you can get one in Amazon for around USD 3 (option 1, option 2, option 3). Open Street Map (OSM) is the most used and globally recognised source for maps. They are free, created and updated by users and volunteers across the World. The easiest thing to do is to find the map of your interest ready to use in .img format. So select your map from this link (once you find the one you need, click on the Provider column), only make sure that it says Yes in Routable column. In my case I wanted France so I download the map from the following website. There you click on Europe Maps and then Benelux & France. That’s it! Your browser will start downloading a .zip (if it is compressed) or a .img file. In my case the file is called “Benelux & France-IMG-UL.zip“, and it is around 600MB. 4. Select only the file “osm_generic_gmapsupp.zip” to download. [Only for advanced users]: browse OSM website or other providers to find more specific maps. If your map has .osm extension, use one of these tools to convert it to .img. Mkgmap is a good one. You can now just copy and paste your file to your device. Once connected to your computer, it will appear as an additional drive, as shown in the image below. You may not have enough space on your device, but you can remove some files and replace the existent map. You can always make a backup and copy the files to your computer. gmapprom.img is the pre-installed map, so you can just replace it. gmapbmap.img is the base map containing only large roads and larger cities, not really suitable for routing. You could delete it but as it is only about 50 MB you wouldn’t gain much space. You can also delete some of the voice files to make room. These probably contain lots of different voices and languages (files with .sum and .vpm extensions) that you never use, so maybe taking up quite a bit of space. They should all be in the Garmin\Voice directory. This is also only around 50MB. Another option would be to go to garmin.openstreetmap.nl and select only the files you are interested in and see if the generated map fits on your device. If you do not want to remove nor touch the original maps (the ones that came when you bought your device), you can play safe and use an external SD card (read more at our “Best Travel Gadgets” post). 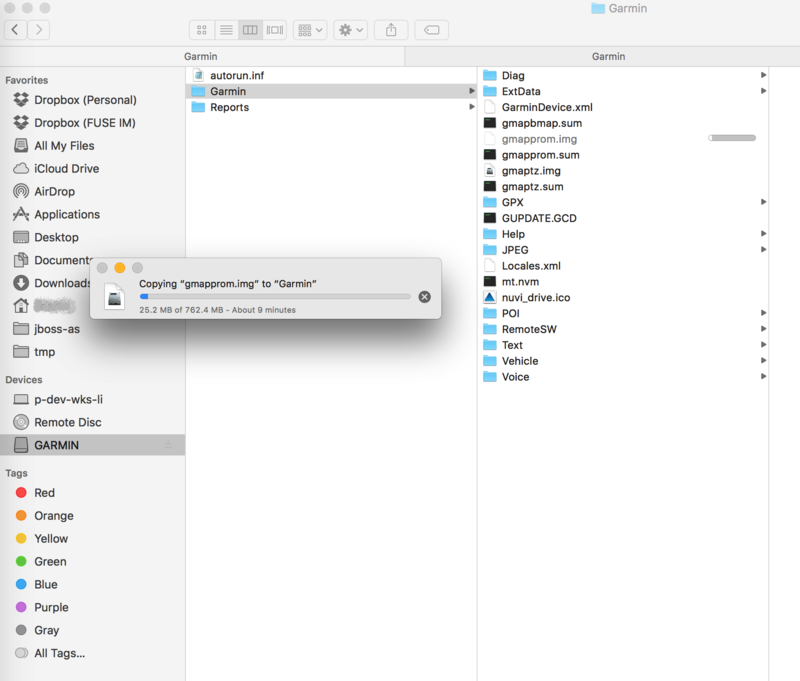 You only need to create a folder called Garmin and copy your .img file in this directory. You can get a 4GB SD card for around USD 4: Kingston, SanDisk. You need to format it with FAT32 [Windows, Mac]. Garmin says it will only accept up to a 4GB card for certain models, so check that in advance. Click on Settings, then on Map, and then on Map Info. gmapprom.img (original map/ or renamed new map), gmapsupp.img (2° map), gmapprom1.img (3° map), etc. Some other recommended Garmin Sat Navs are the ones below. Bear in mind that nowadays most of them come with LifeTime maps from the country you buy it from, so better to buy it with the maps you are most likely to need. Do not forget to visit our “Best Travel Gadgets” post to find other useful artefacts for your trip! I have read your post on downloading and installing maps from Openstreetmaps. Thank you very much for all the info. I have attempted to download a street map for Thailand. Have doe the generic for GPS and once downloaded it asks to be burnt onto a CD. This is the only option. I also then downloaded the version for windows and this one actually opens. I have then followed your instructions and have copied all files to my SD card as well as memory of my GPS but the map does not want to show. If you like i can send you the file with all the .img files. They are all numbers .ing files. There is no specific file stating that it is Thailand map or so. Where did you download the maps from exactly? Did you follow the 6 steps above? I would like to thank you first for sharing this useful info. Here I need one more help: I am facing problem with downloading the map. Is there any easy or simple way to do this? The easiest way is to follow the 6 steps in the reply to the previous comment above. What problem are you facing exactly? Do Garmin Drive Assist 51/50 GPS load OSM.img maps from Basecamp as nuvi GPSS do. Hi, it should. Did you have any problem? great article!! very helpful thanks..